I heard about PeerLink when I was picking up fits at my local Community Centre in South Western Sydney. The worker there is someone I respect, so I paid attention when he introduced me to a NUAA worker who invited me to a PeerLink workshop. It went for two days and I attended both days, as well as an add-on hep C session led by a Hepatitis NSW worker. To be honest, I didn’t have any high-minded vision when I agreed to attend. The workshop only took up part of each day and there was a cash incentive that was easy money I didn’t have to hassle for. At the time I was running a habit and it was use or be sick, so the money really meant a lot to me. I did think PeerLink sounded interesting. I’m a person who likes being stimulated and I had been at a loose end too long. I really looked forward to getting a brain zap! I was also a bit intrigued by the idea of being in a group of people who inject drugs getting tips on safer using from other people who inject drugs. I got a lot more out of PeerLink than I ever imagined I would. To start with, I felt a real bond with Andy, one of the PeerLink workers. We had a lot in common – we both played the piano for example - and we just kind of connected. Because of that, I really paid attention and he has had a big influence on me. When you have been using as long as I have, you can get really slack. The workshop gave me heaps of reminders and tips to keep me safer. For example, I now wash my hands before preparing my drugs every time, I use swabs and I always drink water before I inject (it really does work to plump up your veins!). I also had got very lazy about proper filtering and at the workshop I learned to use different filters. I had never even seen a wheel filter before and I was really impressed by how much crap they got rid of from a pill, patch or methadone mix. I also really liked connecting with the people there. I had got pretty isolated but I felt comfortable enough to contribute to the discussion. In the workshop I was just thinking about my own drug use. 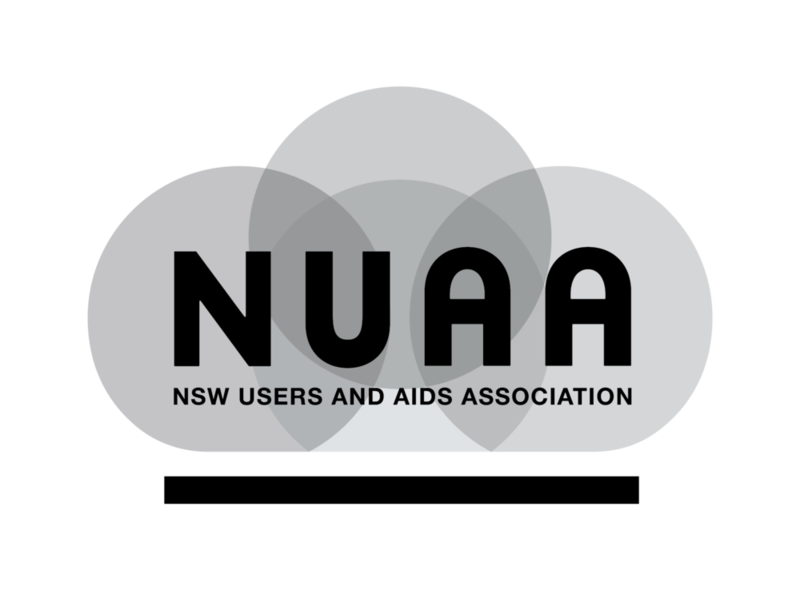 But when the NUAA workers encouraged me to join NUAA’s volunteer program, it felt like it fit in with my work history caring for people in aged care and child care. I went along to NUAA’s NSP to have a look. I didn’t even know what an “NSP” was before that! I learned that it means “Needle and Syringe Program” and it’s the place we get our fits from. My local is tiny with not much variety of equipment so I was blown away by NUAA’s NSP. It has all this amazing stuff – different brands and types and sizes. After meeting some of the other lovely peer volunteers, I decided the PPP was for me. I’ve loved all the training and have got comfortable talking with people. I enjoy sharing my experience and the knowledge I’ve learned. On a personal level, I’ve become a lot safer in my using and 4 months ago I got on methadone. I’m over 50 and I just felt too old to be dealing with daily illicit drug use. I was over the burden of getting the money, breaking the law, always hassling, starting every day sick. My local public methadone clinic didn’t have any spots but the new me felt empowered to press and I eventually got a referral from them. The clinic I was referred to saw me straight away and I started on methadone the next day. After a period of stabilisation, I moved my dosing to a chemist round the corner from me and the freedom of that is fantastic. I can’t believe how my life has changed for the better since I don’t have to deal with daily illicit drug use. The workers at NUAA helped answer a lot of the questions and reservations I had about opiate replacement treatment, gave me the info about how to get help and helped build my confidence so I could put my case forward to my local clinic. Because I am now in a community of people who use drugs, my life has changed for the better. I have access to information to be healthier and happier, I have purpose and ambition and my self esteem and confidence have grown. And it all started with PeerLink.